You can easily receive information upon NDVI vegetation indexes, make up the task maps for technical equipment, create cartograms of soil properties, analyze weather forecasts from meteorological stations and conduct inspections of crops for pests or diseases using a mobile application, increase work efficiency by performing works with the help of location control and fuel consumption control, using GPS monitoring of equipment, as well as provide protection against raider attacks, regulate the land bank and land unit lease agreements. An opportunity to create an electronic passport of an animal has been developed especially for you. It makes possible to store the animal’s genealogical information and productivity. 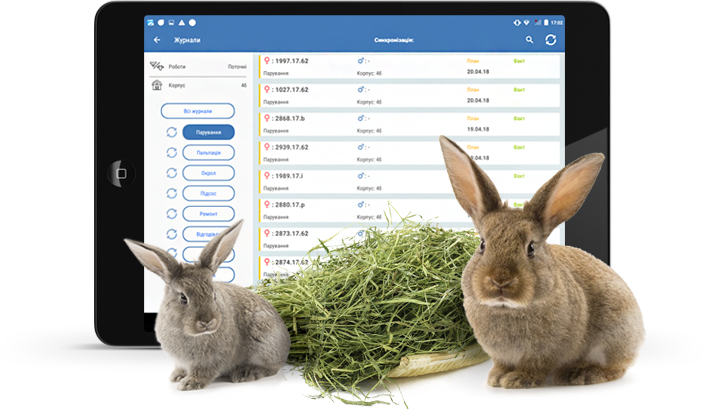 For zootechnicians, the system creates a work plan, based on the timing of their occurrence, and with the help of notification it will definitely remind you which operation on which animal needs to be performed. For a transparent use of feeds, you can calculate the animal feed rations and keep records on feeding. Economic analysis will allow you to plan the development of the stock in order to achieve the optimal efficiency. The main Soft.Farm features are available for FREE to signed up customers. depending on the industry and the scale of your enterprise.